I don’t always just jump right onto a bandwagon, BUT… I think I was kind of on it already? If that’s possible. A word or concept that has been popping up for me the past few months has been humility. I’m a wordy person, so I often resist challenges that involve such clarity and conciseness. But this time when I saw One Little Word making the rounds, it resonated with me. The more I look into humility and read about it and try my best to live it out, I remember that it is not synonymous with quiet or timid or self-deprecating. This concept can mean a lot of things, but I don’t think the afore-mentioned characteristics are part of the definition. Often times I find that humility does mean keeping my mouth shut, but my focus on the concept is also what led me to start this blog. Kind of a strange contrast, but I think it works. There are many verses that support the pursuit of humility, but I thought of Colossians 3:12. Good enough for me! 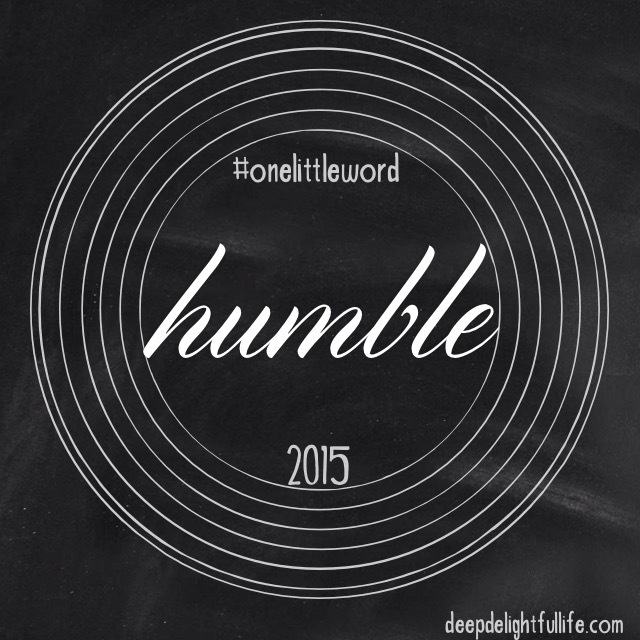 So my #onelittleword for 2015 is humble. I’m not going to master it in a year, and will not stop seeking it after a year, but this year I want to learn more about it and incorporate it into my internal and external life. How about you? Do you feel led to choose a word for your year?